Wisconsin Mancation Ideas - More than Just Beer and Cheese! Wisconsin welcomes travelers of all kinds, including those looking to experience an amazing mancation. From a weekend on the lake with the boys to seven days of rugged outdoor activities, Wisconsin offers four seasons of unbeatable fun. So whether you take a plane, train or car ride to get here, just know when you visit the cheesehead state, you’re sure to find Wisconsin fun. A flock of innovative craft brewers have made Wisconsin the center of the beer universe. By mixing traditional European brewing techniques with local ingredients and a deft artist’s touch, these entrepreneurs have created some of the most highly regarded beers in the world – as well as vibrant tourist attractions. Here are just a few that are great to visit. 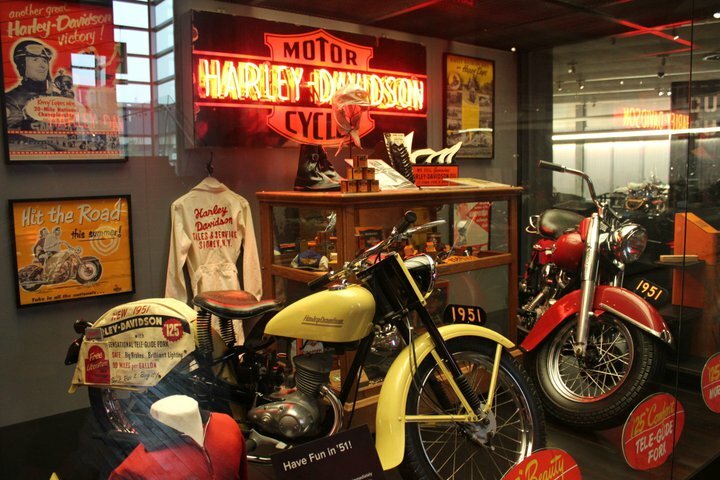 Native to Milwaukee, the Harley-Davidson Museum isn't your typical museum. 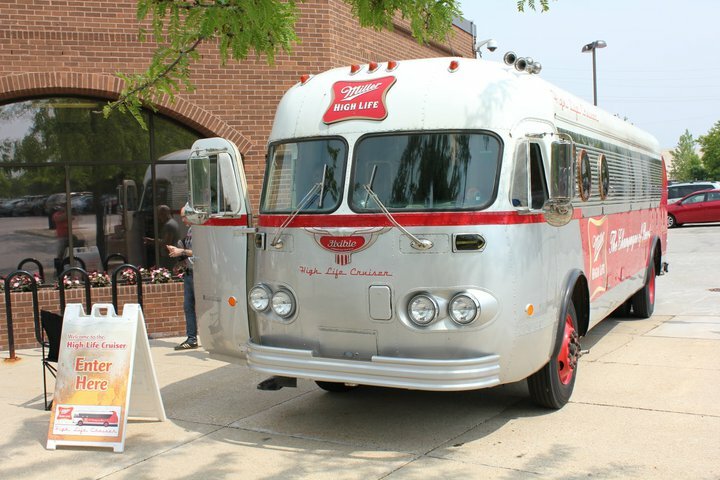 Much more than a nostalgia trip for motorcycle enthusiasts, the museum offers a glimpse of American history and culture like you've never seen it before – through the eyes of an iconic American company. Interactive, eye-catching exhibits and artifacts present an unparalleled collection of legendary stories of our nation’s last century. See the backwoods of Wisconsin in all its muddy ruggedness from the back of an ATV. 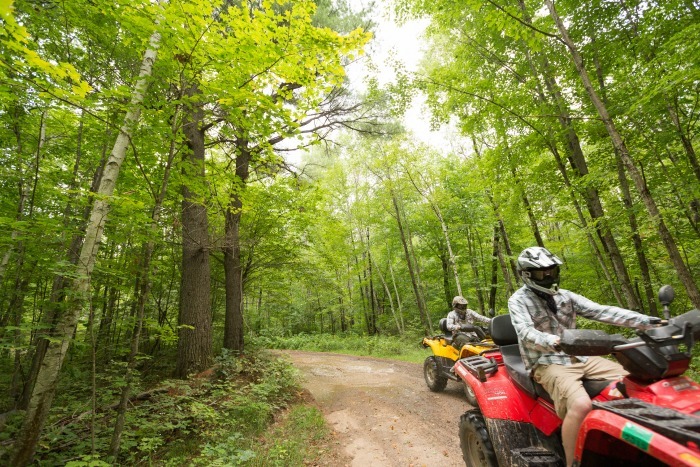 The spectacular views are matched only by the spectacular thrills you’ll find on Wisconsin ATV trails. Ride for the day or for the week. Ride, stay, play, eat and repeat. Wisconsin has everything an ATV lover could want or need. Just make sure to check trail conditions before you head out, because they can and do change quickly. A terrific online source is the Wisconsin ATV/UTV Association. 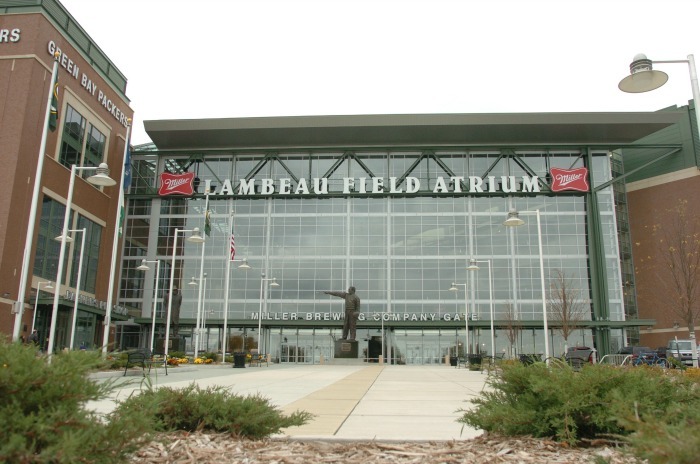 Home of the Green Bay Packers, Lambeau Field stadium offers tours to fans and visitors to experience the Packers' history-rich facility first-hand and see several behind-the-scenes areas. There are three different tour options available; the Classic Stadium Tour, the Champions Tour and the Legendary Tour. For more Packer fun, head to the Green Bay Packers Hall of Fame. The museum was recently renovated and is packed with sports memorabilia and trivia that is sure to impress any sports wiz. Self-tours are available and last 1-2 hours. 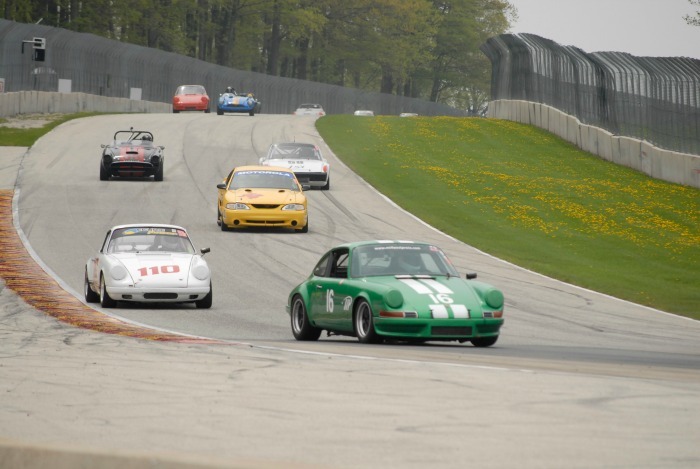 Road America in Elkhart Lake is a car-lover’s paradise. Established in 1955, the National Park of Speed has been challenging the world’s best racers for over 60 years. The 640-acre, park-like grounds offer amazing viewing opportunities of the legendary four-mile, 14-turn road circuit. Check out their website for public weekend race dates and year-round, action-packed events. Anyone can live the tournament dream on a Wisconsin golf course. Since the 1930s, both men and women golf professionals have been teeing it up across the state for their shot at glory. For close to a decade, the LPGA Futures Tour made Wisconsin a regular tour stop. Naga-Waukee Golf Course in Delafield was the original location in the 1990s. Ironwood Golf Course in Sussex was the longest host for five years. For three years, the Arnold Palmer golf course at Geneva National was the place to be for up-and-coming LPGA professionals until 2008. Men’s professional golf tournaments were largely played at country clubs until the Greater Milwaukee Open moved to Brown Deer Park in 1994. Best remembered as the course where Tiger Woods made his professional debut in 1996, (finishing 60th and winning $2,554, with a Sunday hole-in-one on #14) many of the game’s top PGA Tour pros found their way to Milwaukee. No Wisconsin golfing bucket list can be complete without a trip to Kohler. Whistling Straits and have hosted five golf majors so far with two more scheduled. Blackwolf Run landed the Women’s U.S. Open in 1998 and 2012. Both years the tournament featured the best holes from both of Blackwolf Run courses so you can claim a U.S. Open experience by playing either one. The men teed it up in the 2004 PGA Championship at Whistling Straits. The Mens Senior U.S. Open was there in 2007, a second PGA in 2010 and a third will be played at Straits in 2015. Kohler’s crowning golf event will be the Ryder Cup competition between the US and Europe in 2020. Erin Hills, home of the 2017 U.S. Open, was molded from a landscape left behind by the glaciers and is defined as much by what was done as what left to nature. 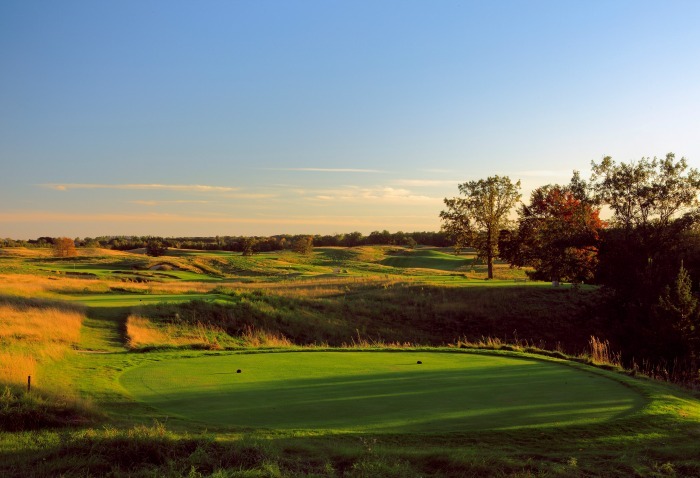 Erin Hills already has a unique chapter in its history having hosted the 2011 U.S. Amateur. The 2017 Open will be a defining challenge with tees stretching to 7,812 yards. Bragging rights as it will play some twenty-two yards longer than Whistling Straits. Testing yourself on tournament golf courses is easy in Wisconsin. Put a tee in the ground, hit it hard, and go get it. Whether you’re a serious player or just looking for a fun experience, you walk with legends on a Wisconsin golf course. Located on the very northern tip of Wisconsin, the Apostle Islands National Lakeshore is a cave of hidden beauty – literally. The 21 islands and 12 miles of mainland host a unique blend of cultural and natural resources, including the iconic sea caves that add beauty and adventure to your kayaking trip. 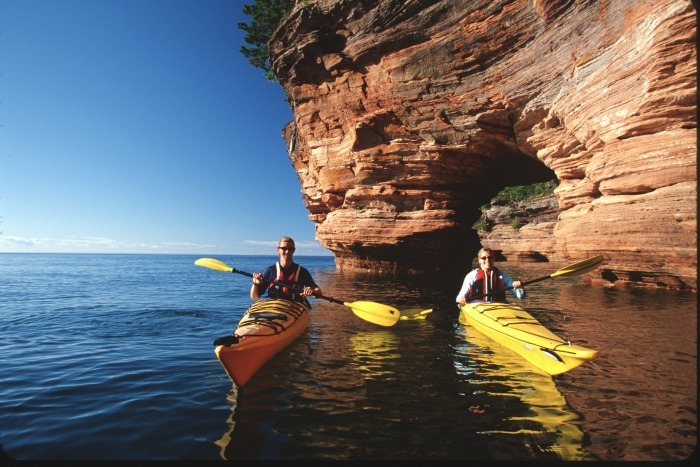 The Living Adventure specializes in sea kayaking adventures in the Apostle Islands National Lakeshore on Lake Superior. Guided trip offerings include half-day 'Shipwreck Tours, full day 'Sea Caves Trips' and overnight adventures in the Islands that vary from one night to six nights. 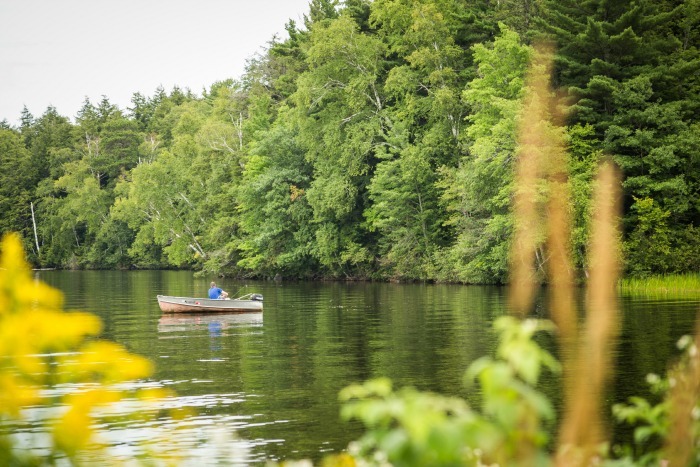 Wisconsin is a freshwater fishing paradise. We count 15,057 inland lakes – nearly a million acres of water inside the state’s borders. Wisconsin also boasts 2,444 coldwater trout streams totaling 9,235 miles. Add 238 miles along the banks of the Mississippi River and 860 miles of Great Lakes shoreline along Lake Michigan and Lake Superior. For more Wisconsin mancation ideas, be sure to visit TravelWisconsin.com.